Austin.com This Austin Publisher's Artisan-Made Books Are Amazing! This Austin Publisher’s Unique, Artisan-Made Books Are Amazing! In a world that’s losing its human touch to machines, one Austin book publisher is sticking to the roots. 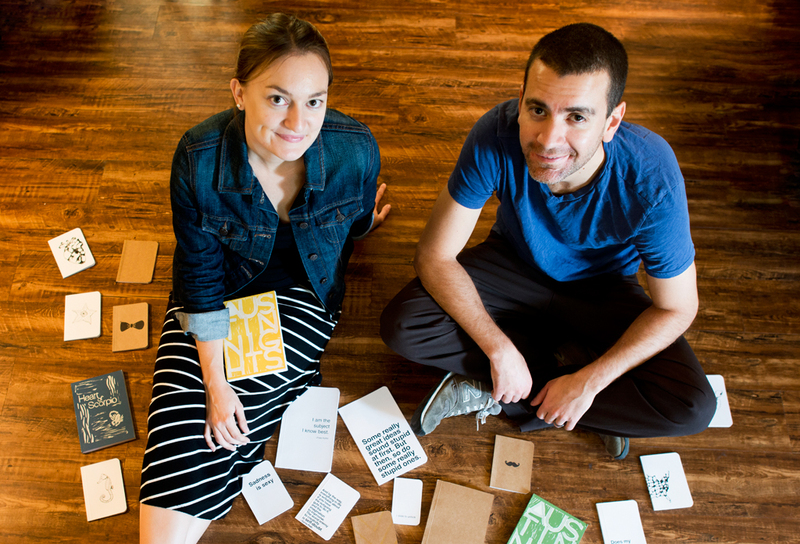 Tiny Toe Press, founded in early 2011 by husband-and-wife team Michael and Bridget Davidson, creates each book individually, by hand, the way artisans did in the golden age of publishing. Michael and Bridget Davidson of Tiny Toe Press. Photo: Rebecca L. Bennett, Brave Bird Photography. Yes, Tiny Toe’s books have identity alright, and a discrete birthmark. It’s a hard thing to convey digitally, but Michael Davidson told Austin.com that his customers instantly notice the product’s authenticity upon seeing it in real life. “Over time, when you give the books to so many people, you see that they give this seductive reaction, as they realize this is not mass-produced and it’s an act of people,” he explained. Since the press started, Tiny Toe has only published six books: Novels and novellas so far, mostly from authors in Austin but some elsewhere, and they’re looking at publishing poetry and nonfiction in the future. Their current selection, while small, is actually quite diverse, with subjects ranging from travel novels to apocalyptic love stories. The company also makes and sells notebooks and stamps through a sub-division called Slim Note, which sells through Etsy and at local Austin events. For the Davidsons, Tiny Toe Press has been a passion that is finally growing into a real source of revenue — and community. Michael, a Miami-native, came to Austin looking to publish some of his own writing. When his friends who helped him run the collaborate blog The Open End heard of his plans, they wanted in. To check out Tiny Toe Press books, go to the store section of its website. Be prepared for not only good writing but an authentic reading experience as well. 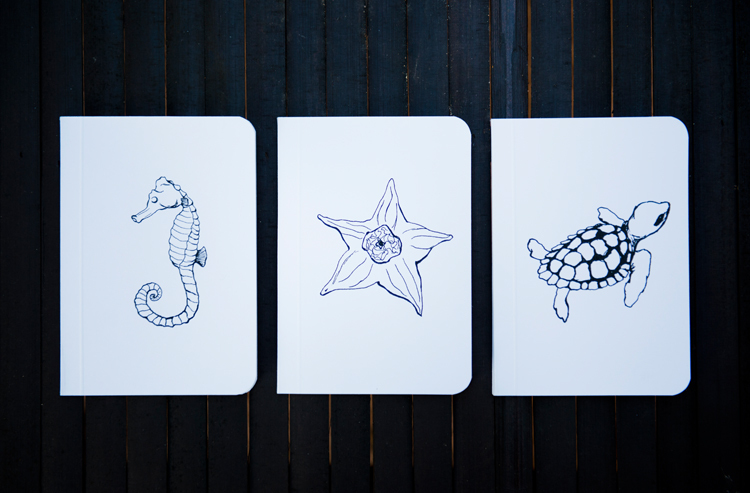 An ocean creature-themed journal series from Tiny Toe Press. Photo: Rebecca L. Bennett, Brave Bird Photography. 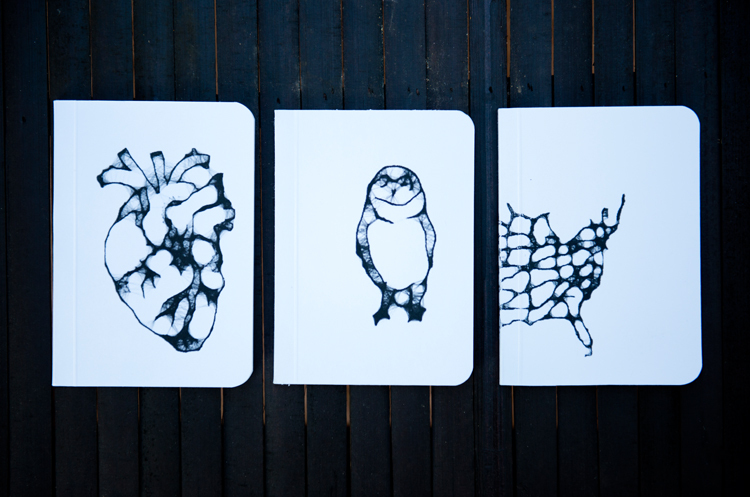 These three notebooks make up a three-piece set from Tiny Toe Press. Photos: Rebecca L. Bennett, Brave Bird Photography. 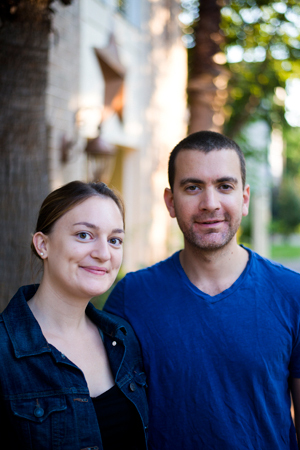 Featured photo: Michael and Bridget Davidson of Tiny Toe Press. Rebecca L. Bennett, Brave Bird Photography.